The Maxton 3/4" NPT Hydraulic Elevator Shut Off Ball Valve has been tested for residential/LULA hydraulic elevator applications. 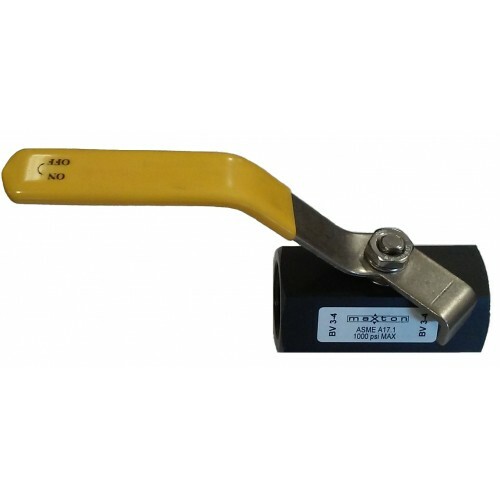 This product is made from Carbon Steel bar stock as a one piece body with (Female to Female) NPT connections. This valve has a maximum operating pressure of 1000 PSI (55 bar) at a 5:1 safety factor and complies with ASME A17.1/CSA B44.